Is Social Media a Thief of Joy? – or is it Comparison? When I compare myself to others, I always seem to come up lacking. I suspect that this is the same for many of us. 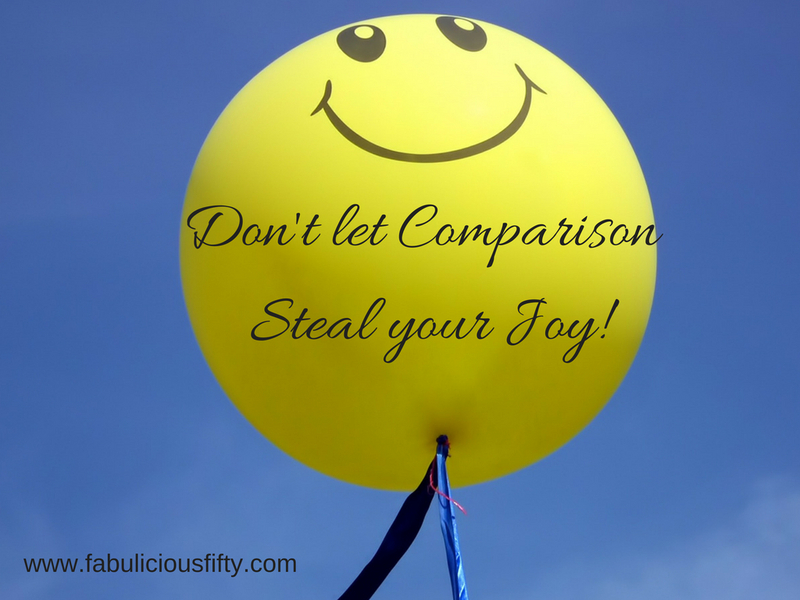 Is comparison the thief of joy? And what role does social media play? Before the advent of social media (and I am old enough to remember it) we went about our world fairly oblivious of what other people were doing. What they looked like. What event they had attended. How cute their kids were. Somehow or other we managed, and I suspect that we were happier. This blog post isn’t all about slagging social media off. Not at all. I really value social media and can list numerous ways it has made my life better. I have been able to share my blog with people all over the world. I have also used social media to meet so many other bloggers who have inspired me. I have reconnected with so many people from my past. Long lost cousins, school friends and numerous other wonderful people who I might have lost touch with. Especially as I moved from South Africa to Ireland. I have been gifted this window to the world. There are times when I have been lonely and knowing that I could pop into Facebook and connect with friends has been a true gift. I have gained knowledge. I have joined groups that deal with issues that I face such as arthritis and pernicious anaemia (which I knew nothing about). In these groups I have met fellow sufferers and we have lifted each other up. We have answered questions and explained the unexplainable. I have connected with hundreds of people through my own and have had the privilege of taking these online relationships offline through meet-ups and events. I have made a little money. I have sold art, found people to work with and met up with brands who wanted to work with me. There is a big but though …. There are two real negatives for me relating to social media. The first is time. When I am online – either at my laptop or gazing at my phone scrolling or chatting, I am effectively disengaged from the world around me. I know I spend too much time online. I know this because I scroll, and scroll and realise that I am seeing nothing new. I know this because I have to go back and ask what is happening because I missed a vital part of the conversation. I have literally been missing in action. When I do ‘forget’ my phone I am far more productive. I get things done. I listen to music, clean the house and find my creative juices flowing. I love the practice of daily painting and I can’t paint and scroll at the same time. I am really trying to limit my time online. Those that know me are chuckling and rolling their eyes and saying ‘yeah’. 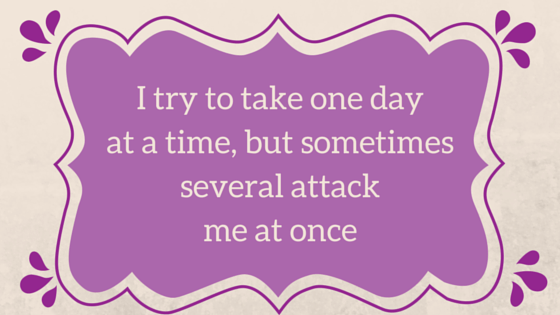 I promise though – I am trying. The main reason why is that I am finding that comparison is indeed a thief of joy for me. My situation is unique to me. And let’s face it each of us has a unique situation. I am 54 now, and I suffer from severe arthritis which limits my mobility and in fact everything I do. Most days pain is my companion and I am always tired. I struggle with my weight as well so I am no svelte size 10. I have wrinkles, and rolls and that is just the start of it. Working full-time is no longer an option – as I simply can’t. I also struggle with overwhelm and anxiety. There are weeks when I don’t post on my blog because I haven’t been able to write, or photograph anything. On the positive side I have wonderful friends who support me. I have a good life. Fashion and beauty inspire me. Travel delights me and I am determined to do more (albeit on a strictly limited budget). There is nothing I like more than sitting down with a friend drinking creamy cappuccino. I find my true bliss with a paintbrush in my hand. I am not writing this for sympathy, but merely to give you a true picture of where I am in my life. Even though I am intelligent I am still drawn in to this dreadful comparison trap. I watch through the lens of social media as others attend events, go out for gorgeous dinners I cannot afford and seem to have endless cocktails with friends. I feel real envy when I see people progressing in their careers when mine is in a sort of standstill state. A cruise – oh I wish I could afford a cruise. Skinny Jeans and high heels – no chance Kerry! I know that there are many people who are too sick to go out. People suffering from depression who cannot comprehend the goings on of others. Your child might be kicking and screaming and very dirty and you cannot help but compare with the angels you see on Facebook. A very wise friend and mentor once reminded me. Beware of the difference between real lives and Facebook Lives. We all put our best foot (or face) forward on Social Media. If I take a selfie and I look too tired and sick I don’t post it. Perhaps I should. I think that there are a couple of things I need to do for myself to put social media in the right place in my life. Don’t compare. Comparison is the true thief of joy. Be grateful for what I have! We don’t know what really lies behind those beautiful images and even if we did, do they really change anything? If there was no social media, then I wouldn’t know about these things. I would simply be going about my day living my life. And perhaps being more joyful. The time between Christmas and New Year excites me. It may seem odd to some but I just love this week which for me is laced with anticipation. I don’t like New Year’s Eve parties. The false anticipation that something is going to change as the clock strikes midnight. I do however, love a new book. Cracking the spine and smelling the pages. 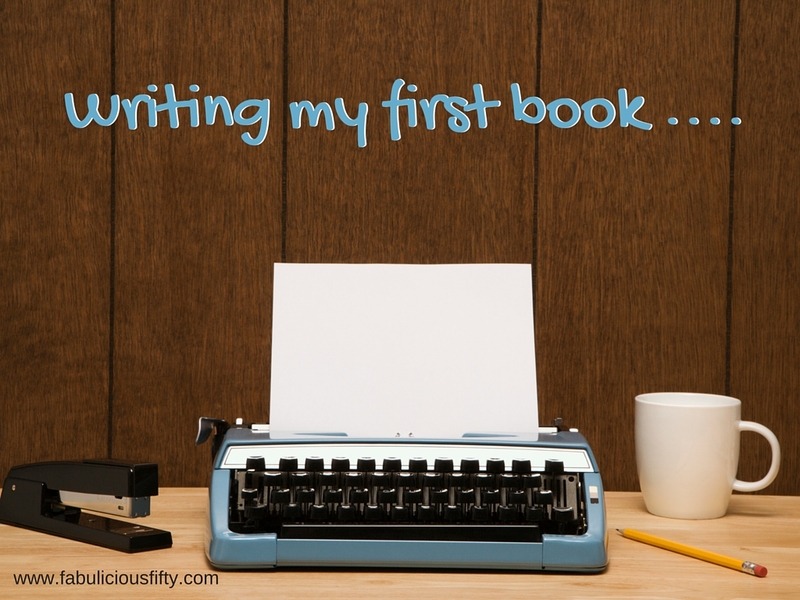 My Kindle is my companion these days, but my love of books has simply transferred to notebooks, journals and books with blank pages. A new year is like a book of blank pages. 365 days of opportunity to be in charge of your life. Five years ago I was certainly not in charge of my life. In fact I was juggling so much and lost focus and balance in a huge way. I changed my life and sitting here today I can say that I am happy. Today I feel strong and in control of my life. I said goodbye to New Year’s resolutions, and instead for the last 5 years I have chosen a word for each year. This strategy has been core to the changes and most of all improvements I have made in my life. My first word was balance and I tried a few techniques to incorporate balance into my life. It worked in a big way across all areas of my life even on my core balance which wasn’t in my mind at the time. I ended the year being able to stand on one leg! The second year I chose the word change and again used the simple techniques to incorporate it into my life. By April of that year – only four months in – my life had changed to such an extent that there was little that hasn’t changed. Discipline was my word the following year, and this simple word focussed on areas of my life that needed strengthening. It wasn’t an easy year, but it was a year of small changes that made big differences. There are two types of people in the world – big picture people and detail people. I would definitely fall into the category of a big picture person. My career as a marketing strategist and an entrepreneur was all about big thinking, but detail was always my weakness. For 2016 I chose detail as my word. 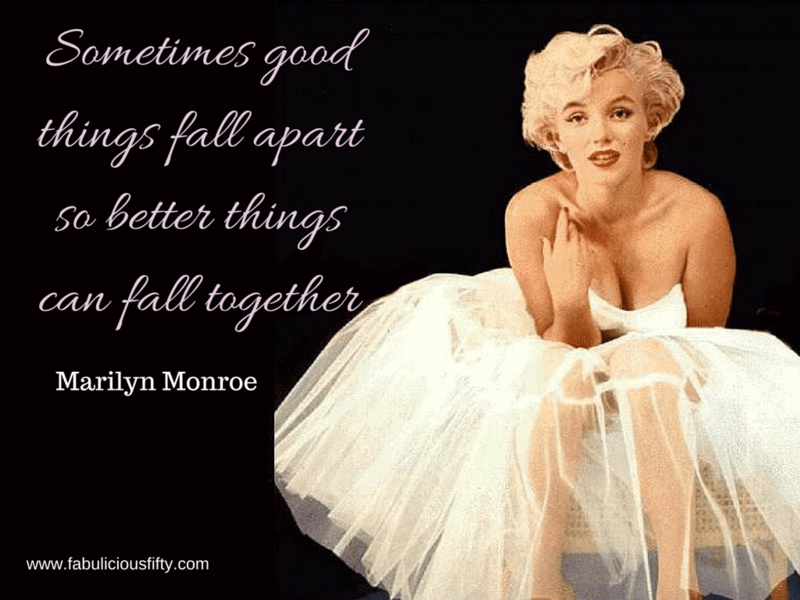 I needed this word – I really did! I have been through a transition this year and putting a focus on detail has been essential. I am so glad I chose it! I also have a powerful word that has become an overriding word in my life and that is Fabulous. 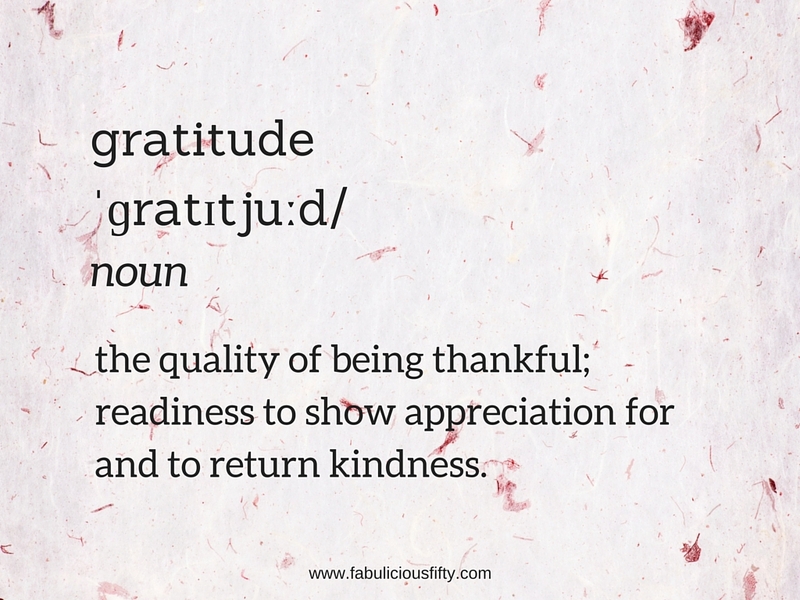 Regular readers of the blog will know how much I love this word and what it means to me. 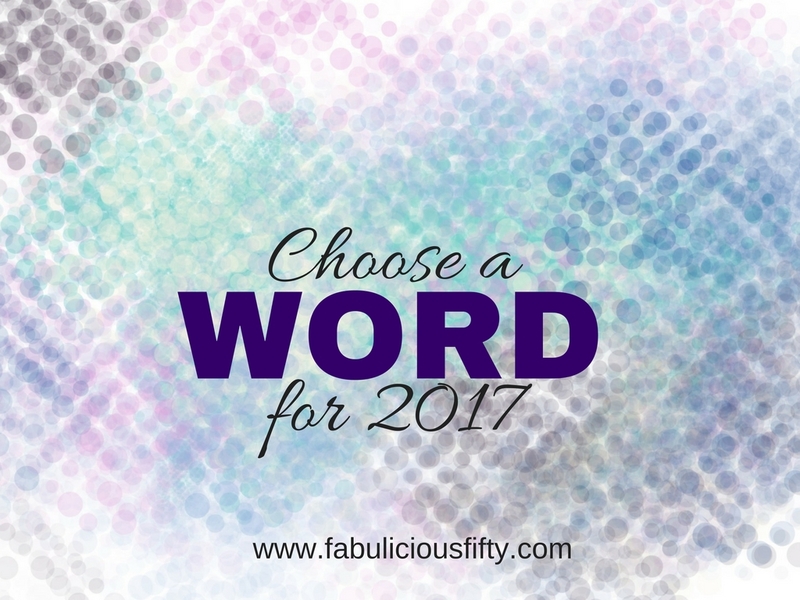 What will I choose as my world of the year for 2017? During this reflective time I am again contemplating which word I will pick for 2017. I know this programme works and I am excited to be sharing it with members of the Fabulous Woman group on Facebook. Join me for a Facebook Live video every night and am delighted to be sharing this special planning time with people from all over the world. It was exciting to see people popping up from America, South Africa, Ireland, Germany, Scotland and more. I will be back in a couple of days to share my word for 2017. If you would like to join me on this journey please feel free to join the Facebook Group (only girls allowed), my page on Facebook and by subscribing to the blog. I have updated this blog post, which is one of my most read. Thirteen years ago I moved from Johannesburg, South Africa to Ireland. Not only was it a huge move from continent to continent, but it was also a move from city life to a rural life in beautiful Connemara. It really doesn’t matter how many people you ask about the experience before it happens, it is still a massive shock to the system. Ultimately my decision to move was motivated by the rising crime in South Africa. There were a few experiences that really touched my life and I realised that I was living with fear. I don’t judge the people who have stayed and neither do I judge the people who have left the beautiful country that is my birthplace. The time came and I had to make my choice, and the fact that I had a 7-year old son was a huge part of that. We moved across the world and landed up in Connemara in early February. Connemara is a beautiful place, but it doesn’t really show it’s beauty in February. It was wild, windy and very cold. It rained almost every day. I wasn’t prepared, and my pretty umbrella bought in South Africa turned inside out and blew away the first time I used it. With the hindsight of 13 years I am glad I made the move. It has been a very turbulent 13 years which has seen me live in Connemara, in Westport, Mayo and now back in Athenry on the east side of Galway. It has seen me start my own business in the form of a craft shop called An Siopa Buί – The Yellow Shop. Through the shop I was privileged to travel across Ireland and meet some really special people. Circumstances change and I returned to the corporate world and spend two and a half years in Westport (considered to be the best place to live in Ireland.) I am now living in Athenry (made famous by the song The Fields of Athenry) and am moving onto a different phase of my life. The common thread through my life and the big move has been people. The friends that I have made at every stage – both South Africans in Ireland, South Africans at home and of course my Irish friends. After 10 years I took Irish Citizenship and am proud to be Irish – although I will always be South African too. I visit South Africa as often as I can and will always have the song of Africa in my heart. When I am homesick I think of the sound of crickets on a summer night. The evocative smell of sunset after a hot day and the wonderful social culture of bring and braai (a BBQ where everyone brings something along). I was honoured to take part in a TV series on RTE in 2007 called No Place Like Home. The producers came up with a cool concept of featuring foreigners living in Ireland, and comparing where their lifestyles in Ireland with lifestyles back ‘home’. The title really says it all. There is no place like home, but what I have come to realise is that you can have two homes. I will always have a little part of my soul in Africa, but now I have fallen in love with Ireland too. The West of Ireland where I have made my home is a truly beautiful place. One day on a drive between Westport and Connemara I stopped to take in the view. The word awesome came to mind. Truly awesome as you realise that this magnificent scenery is simply there for us to appreciate and admire. Ireland has been good to me. I have made so many friends, through my crafting, through blogging , through the ICA and through my career. I have been welcomed into so many homes and drunk copious cups of tea as I have learnt the generosity of spirit that the Irish are known for. You can read my post about my empty nest here. My information about the legalities and practicalities about moving to Ireland is a little out of date. It is almost 15 years now. I am delighted to say that there is a whole lot more information out there than there was when I did the move. There is a wonderful Facebook Group run by South Africans who have made the move and I suggest that you join it and take a deep dive into the files. There is so much information available and the people in the group are so helpful. I do try to answer all the emails I receive but it isn’t always possible so apologies in advance. I have beautiful memories of reading the Winnie the Pooh books to my son. Every Sunday morning was anticipated and the book would be taken down, the bookmark found, and the story would begin. Although essentially children’s books, the stories of Winnie the Pooh by AA Milne have universal appeal. They make us laugh, they make our heart’s sing and they also teach us life lessons. Monday 18 January was Winnie the Pooh Day and the HuffPost Better Together featured a great article about this really special bear. Please also remember to scroll down and you will see a cool little video with 6 facts about Winnie the Pooh that you might not have known. The article which was written by Katherine Brooks, senior arts and culture editor for Huffington Post delves a little deeper into the origins of this special bear and his friends. The quote I have chosen for my image and for this Wednesday’s quotation is really special to me. I am using it as a bit of an affirmation right now as I go through a few hard changes in my life. It wasn’t only Winnie the Pooh was inspired to make so many great statements, many of which are so relevant to today’s society. The other characters have distinct personalities and are very quotable too. “It never hurts to keep looking for sunshine” – from Eeyore. 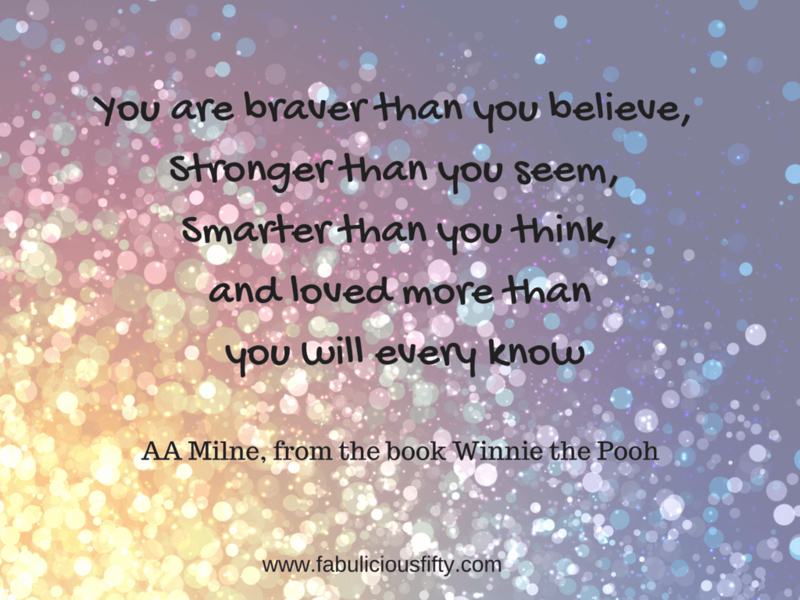 I would love it if you would leave a comment and let me know your favourite Winnie the Pooh quote. My very wise big sister shared this concept with me. It was during a time when I had a lot on my plate – big mountains indeed. She told me a story about her daughter. As a little girl she was faced with a lot to do – homework, projects and more. My sister asked her young daughter and how she would eat an elephant. The answer is simply – bite by bite. 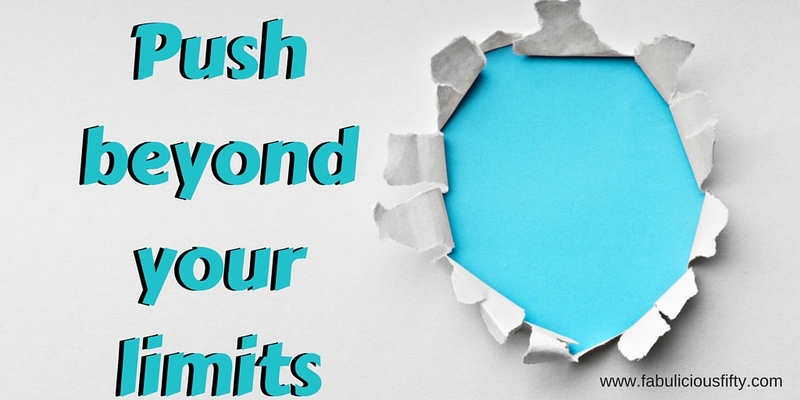 I know that so many times in my life I have been faced with an enormous elephant sized challenge and sometimes I simply can’t figure out where to start. Then I remember the elephant and break it down into bite-sized chunks. I have recently started a new job and believe me, after a couple of days I realised I was facing an elephant. So much to learn with so many different aspects to the job. 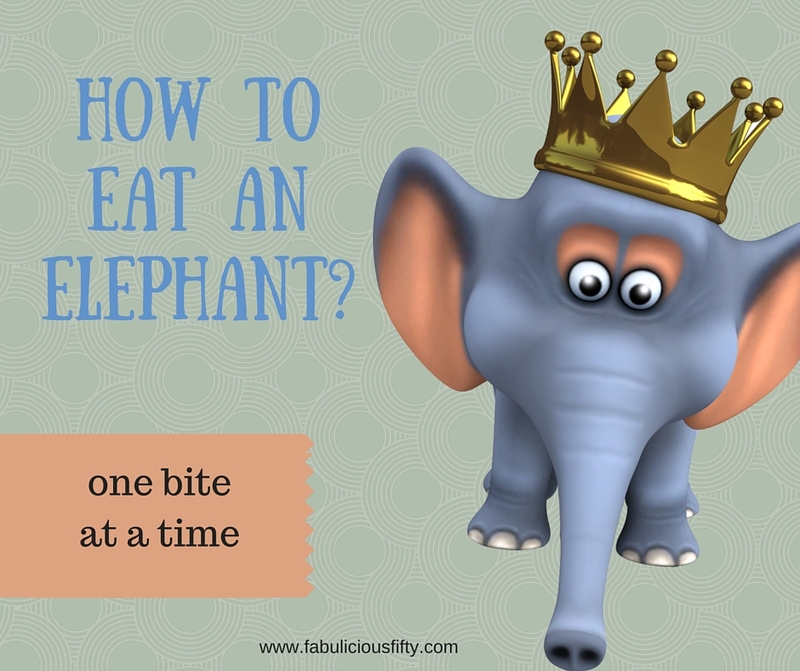 I am not quite finished eating this particular elephant, but I have broken the challenges down into smaller chunks and in many cases smaller tasks again. The first split was to figure out what was urgent and had to be done. Then look at those tasks that would make a real difference and then finally some of the tasks and marketing ideas that are great, but can wait. Unpacking my house, dealing with my health and many other challenges are always easier bite sized. Thank you Janet for teaching me this valuable lesson, which I use in so many parts of my life. Thanks for reading and I hope you enjoyed this Wednesday’s quotation.